The premier cardiac RPM platform. 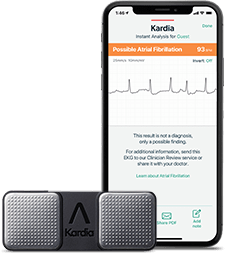 KardiaPro is a web‑based portal that presents medical‑grade patient data from the most clinically validated and widely used ECG and blood pressure monitoring devices in the world. KardiaPro is used by providers to support clinical decision making. Actionable data is organized and triaged based on customized practice parameters for efficiency. KardiaPro is completely free to your practice with no hardware to buy or sell. Sign up to receive the latest AliveCor news. Thanks! You have been added to the mailing list. ©2019 AliveCor, Inc. All Rights Reserved. US Patent Nos 8,301,232, 8,509,882 and Patents Pending. 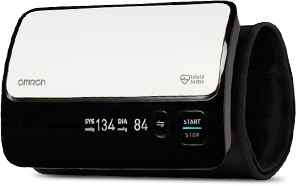 AliveCor and Kardia are trademarks of AliveCor, Inc. in the United States and other countries.